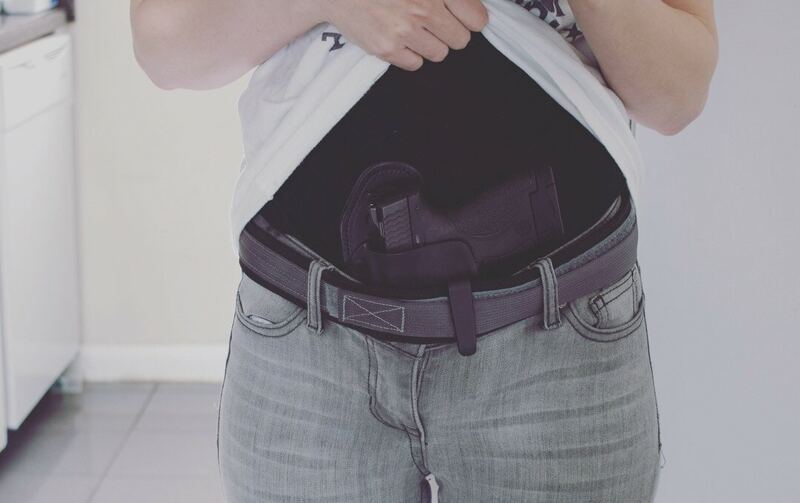 Appendix inside-the-waistband, commonly referenced as simply AIWB, has been steadily catching the eyes of gun owners committed to the concealed carry lifestyle. This means of carry, which places the gun on the abdomen — around the 1 o’clock position — has been steadily trending upwards, gaining a stream of followers who swear by the position’s efficiency and draw stroke. It’s not without its naysayers, though. For years AIWB has been lauded as an unsafe means to carry. “You’ll shoot your junk off” are the cries of those vehemently protesting what they term as a fad among youngsters in the gun community. This fad, however, has been going strong for the past few years, according to holster makers, and shows no signs of slowing down. Dark Star Gear was one of the OG’s — one of the first holster makers who begin crafting gear for AIWB before it was trendy to carry on the abdomen. Tom Kelley, the driving force behind Dark Star Gear, said that though AIWB has been around for years, 2012 was when he and other began noticing AIWB surfacing in more conversations. While Dark Star Gear heavily targets the AIWB market, Hidden Hybrid Holsters sells a variety of holsters for both AIWB and IWB. Matt H. with the company told Guns.com that Hidden Hybrid is seeing more and more interest and sales of its AIWB gear. Matt credited a large portion of this uptick in interest to the help of online videos which have brought new conversations and ideas to the table. Accessibility and draw stroke have become the words du jour in the realm of AIWB. Followers dedicated to the style advocate it so heavily because of the gun’s convenient placement. The 1 o’clock position, according to AIWB carriers, lends to a quicker and more efficient draw stroke with less chance of accidentally sweeping body parts. In addition to draw stroke, the placement of the holster and gun at the front of the body allows gun owners to visually see the gun go into the holster — an advantage not afforded to those that carry behind-the-hip. AIWB holsters, like their traditional IWB brethren, comes in a variety of styles and flavors to suit the needs of gun owners. While no two holsters is exactly alike, there is a key component to AIWB that sets it apart from everyday IWB rigs. Retention as well as full trigger guard protection also assemble to produce a quality AIWB holster, one that will seat the gun properly and help prevent accidental bangs. Despite the increased visibility of the AIWB community and the holster makers behind the curtain providing rigs to safely carry, there will always be those who view AIWB as unsafe. Guns.com asked each holster maker their opinions on whether this mode of carry was a dangerous or risky option. Each holster maker responded with a slight edge of amusement at the notion that AIWB was any more dangerous that any other means of carrying a loaded weapon. Smith with Alien Gear also heavily advocated for proper training alongside the right gear. AIWB is the concealment community’s rising star and that meteoric rise to popularity doesn’t seem to be slowing down any time soon.